Hello pretties, its been a while that I have started incorporating different oils in my skincare regime and I have been trying a few of them. 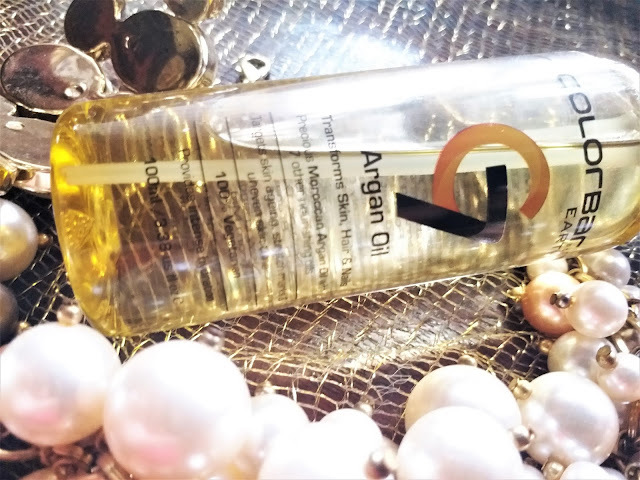 One such oil that I found working great for my dry skin is Argan oil. The latest entry in my vanity is the Colorbar Earth C7 Argan Oil. 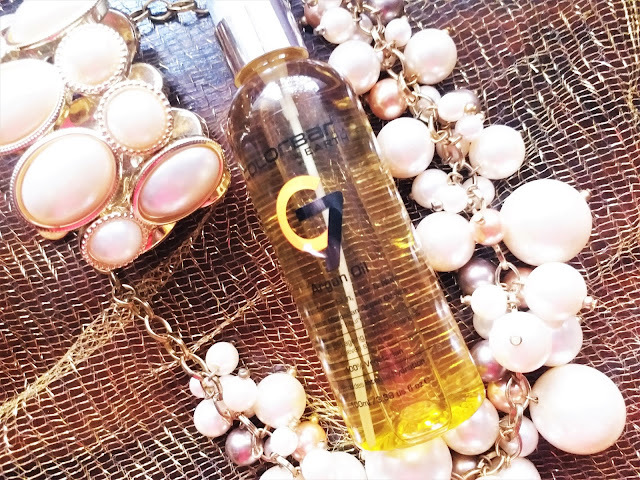 A multi-tasking blend of 7 essential oils comes together to create an elixir – the C7 Argan oil by Colorbar! 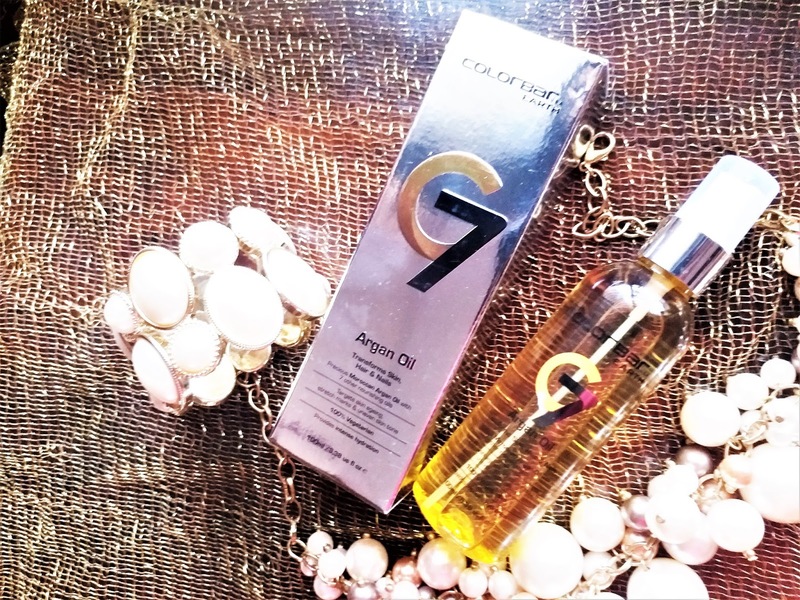 Packaging: The Colorbar Earth C7 Argan Oil comes in a silver cardboard packaging. The transparent bottle is in a spray format with a plastic cap. 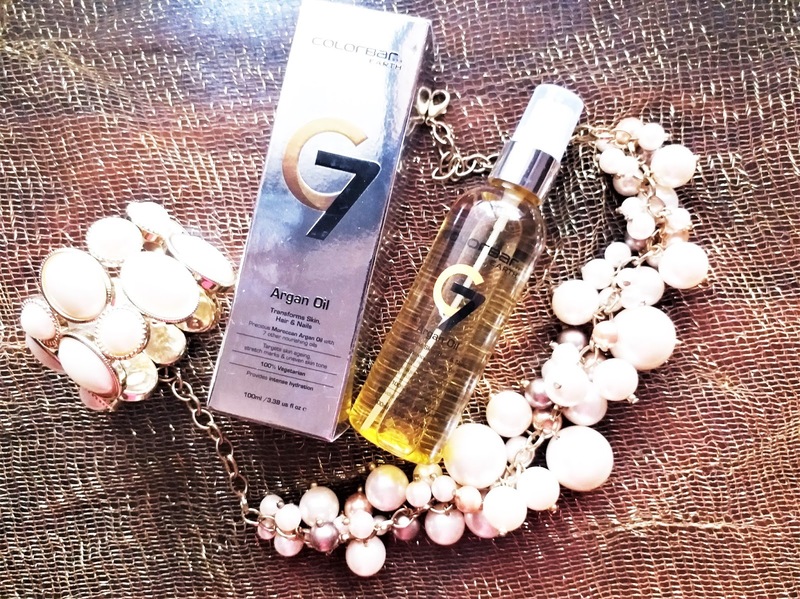 My experience: The Colorbar Earth C7 Argan Oil has a very attractive packaging. The product is made with 10 natural oils that are rich in nutrients and make the oil very hydrating & nourishing. It is very moisturizing for the skin and equally nourishing for hair & nails. Although Argan oils can be used as a facial skin care product. The product usage has been specified to body care, hair care and nail care. I have been using it for my nail care and body care. The oil is not greasy. The little bit of oiliness that it has, gets absorbed quickly, specially for my dry skin. It moisturizes decently and makes the skin softer and smoother. It worked great for my nails actually. I found that my nails look much shiny and healthy. Colorbar Earth C7 Argan Oil has a strong sweet smell. I am not a fan of the smell, it may be appealing to some. It is a decent oil. I cannot say its the best I have used. The best way it worked for me is for my nails. For hair it work quite good too. I did not find it keeping my skin moisturized for long. I think it would be fine if someone does not have very dry skin like mine. I feel it is somewhat overpriced. Colorbar Earth C7 Argan Oil is a decent product. The packaging is very attractive and it works great for nails. However if you are looking for an Argan oil spray for convenience you can think of investing.